Room tip: beach hut ...not hotel !! 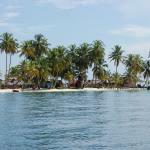 This is one of the hundreads islands in San Blas. The hosts are very disorganized and never talk clearly, the food is not enough and terrible (make sure you bring your own stuff and it is going to be perfect). This is not a place for those who needs confort or luxury, but it is a must go. Shared "toilets", cold shower, no electricity after 8 PM, no sign from civilization. Just a tiny island, white sand and palms, lost in the carribbean sea. A great experience. Book for 2 nights, it will be enough. Just 1 night isn't enough, because it takes a long time to get there from Panama City. Bring your food and wine, snorkel and wet tissues. They usually bring you to 2 different islands. 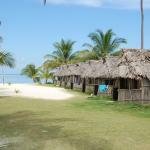 Don't miss the Kuna Yala main island tour. Room tip: There are no differences among the cabinets and they do not let you choose. The sheets are always dirty, if you care a lot, bring your own. Take it as an adventurous trip. Kuanidup is a once in a lifetime adventure. We'd read a bunch of reviews and decided it was an adventure worth taking. My sister-in-law and I spent 2 days/nights as part of my 40th birthday celebration. It is a major adventure in every aspect from getting there/back to sleeping huts and dining. We had a blast! Kuanidup is not for the traveller who wants to be pampered but for those of us who want a true Gilligans Island experience. Super basic food and accomodation but the scenery makes it all worth it. 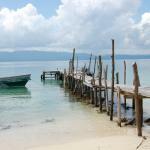 Kuanidup is an island surrounded by similarly beautiful islands in the middle of the San Blas. It's breathtaking and relatively untouched. Beds are old mattresses which we covered in our own linens. Hut floors are simply sand, and huts themselves are bamboo walls with palm fronds and tarps but who cares, the experience was worth the minimalism. The price includes a snorkeling trip and a trip to a Kuni village depending on the days you are there. OR you can choose to simply lay on the beach ans soak up the serenity. It doesn't get much closer to paradise. 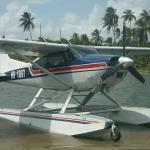 San Blas Islands are a group of Virgin Islands just 2 hours away from Panama. The Kuna Yalas are kind people who make you feel at home. No cel signal, limited night light and the natural setting make up for an ideal relaxing vacation. Jose seeking to really get away from everyday stress should really visit this place. This is rustic but it's everything you need. If you like to relax on islands without all the distractions of technology then this is where you go. This recharges and refreshes even the most worn down of people. If you are picky about food and lodging go to a higher end place and island but this was perfect for my partner and I. We spent New years on these islands and it was a magical way to bring in the new year. Plus, cheap coconuts all day long and more islands to visit than you could in any given trip.